Post splitting clearance: 2.60m (3.20m in option). Splitting power 15 tonnes (18t in option). 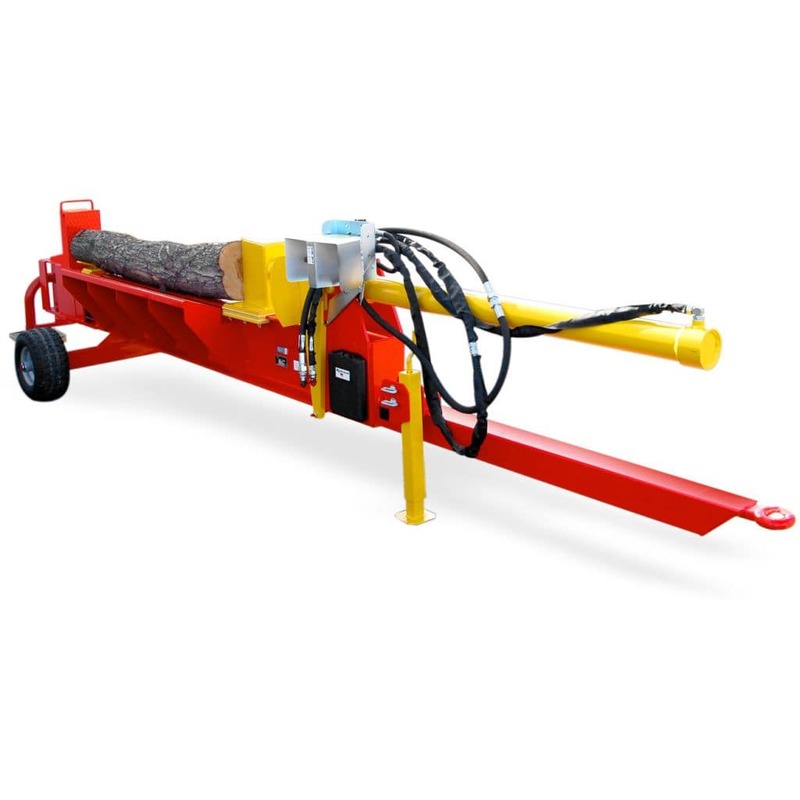 Post splitter mounted on axle (2 wheels and draw bar) designed for transportation with low-powered vehicle. Driven by: Tractor pump or, PTO 540rpm or, Electro-hydraulic unit. 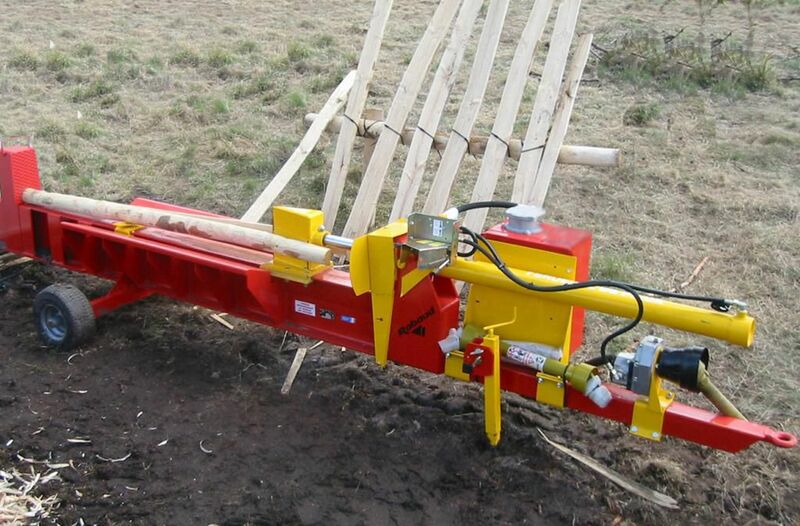 Sharp parting wedge 30cm long quickly removable (2 bolts) for splitting logs. Possible adaptation of a post lifting system in option. 4 serial post supports for a better comfort using it. Ideal working height for the user.